Cheremosh River [Čeremoš]. (Map: Cheremosh River). 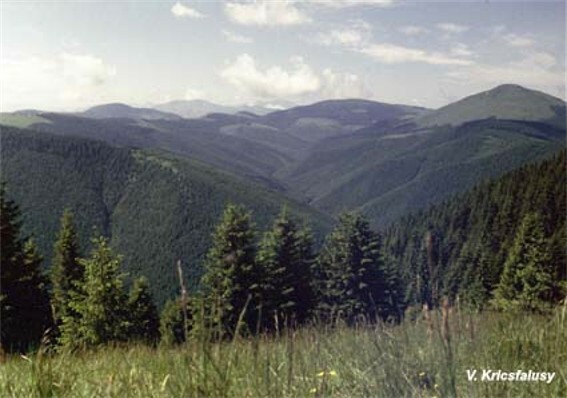 Right-bank tributary of the Prut River that flows through the eastern Carpathian Mountains (Hutsul region) and Subcarpathia. It is 80 km long and has a basin area of 2,560 sq km. 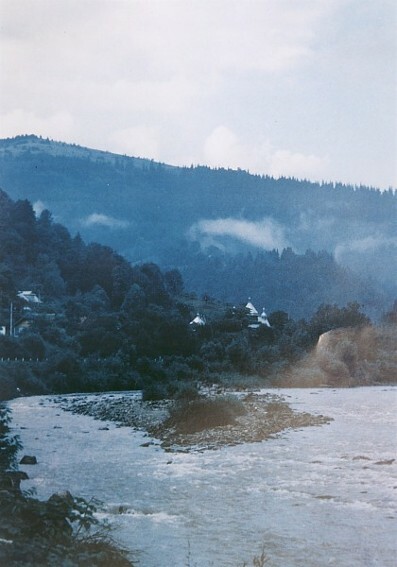 The river is formed by the confluence of the Chornyi Cheremosh River (87 km long with a basin of 856 sq km) and the Bilyi Cheremosh River (61 km long with a basin of 606 sq km). The Chornyi and Bilyi Cheremosh and the upper part of the Cheremosh proper are mountain streams flowing through a picturesque gorge in the Hutsul Beskyd. Further downstream, in Subcarpathia, the Cheremosh flows through a broad valley. Its waters come from various sources, mostly from rain. 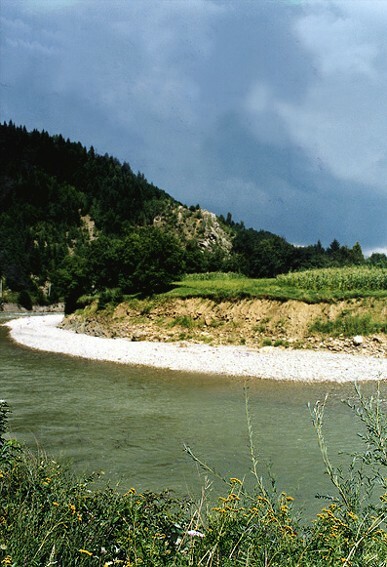 The average water flow below the confluence of the Chornyi and Bilyi Cheremosh is 26.6 cu m per second. The major towns on the rivers are Vyzhnytsia, Vashkivtsi, and Kuty on the Cheremosh, and Verkhovyna (formerly Zhabie) on the Chornyi Cheremosh. The rivers are navigable by raft. 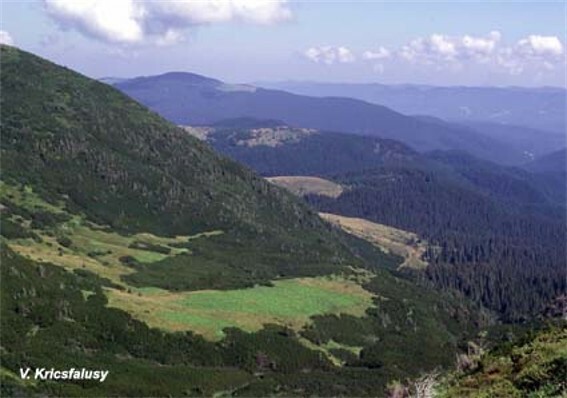 The Bilyi Cheremosh and the Cheremosh form the boundary between Galicia and Bukovyna and for centuries defined the border between Poland and Moldavia (Ottoman Empire).